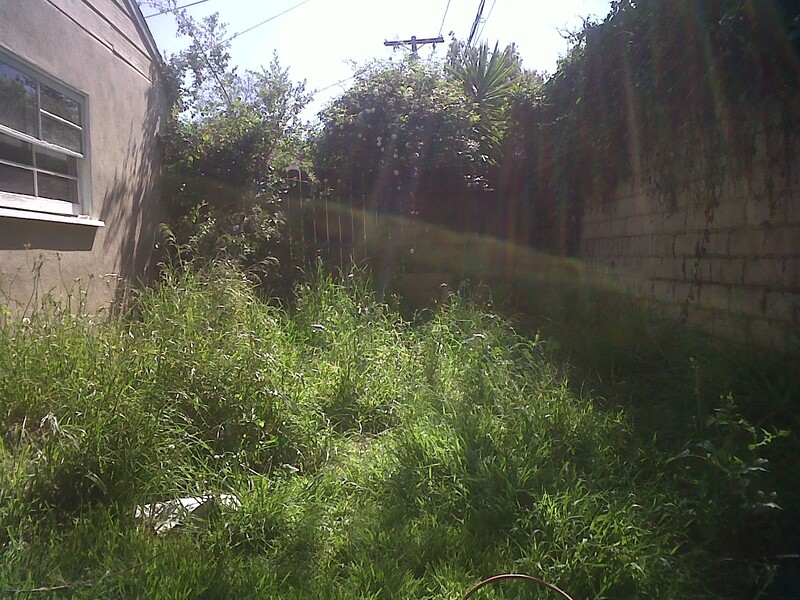 While I was at work on Saturday – yes, I had to work a full day on Saturday, we need the money – my husband prepped the area behind our garage for our garden. 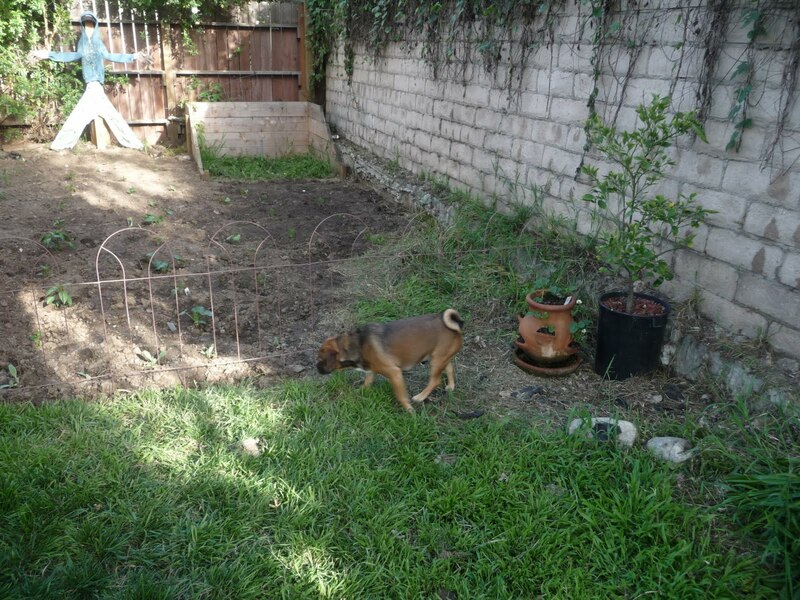 Our garage is in our backyard, so there is this patch of dirt and weeds behind it that we can easily block off with a little fence to keep the dogs out of it. Oops! Forgot to include this in the original post. Sorry about that!! 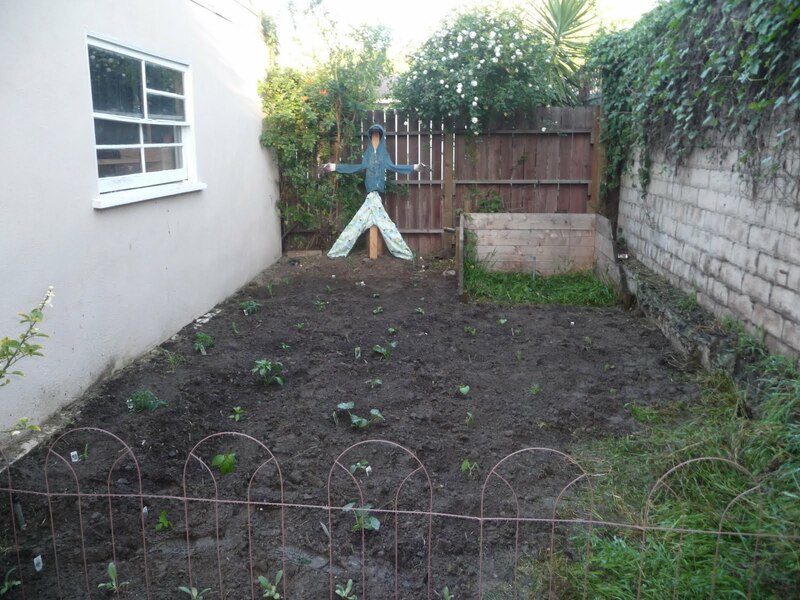 We didn’t get an “in progress” picture, but after he cleared all the weeds (and broke his weed whacker in the process), my husband broke up the soil so it would be easier to plant. 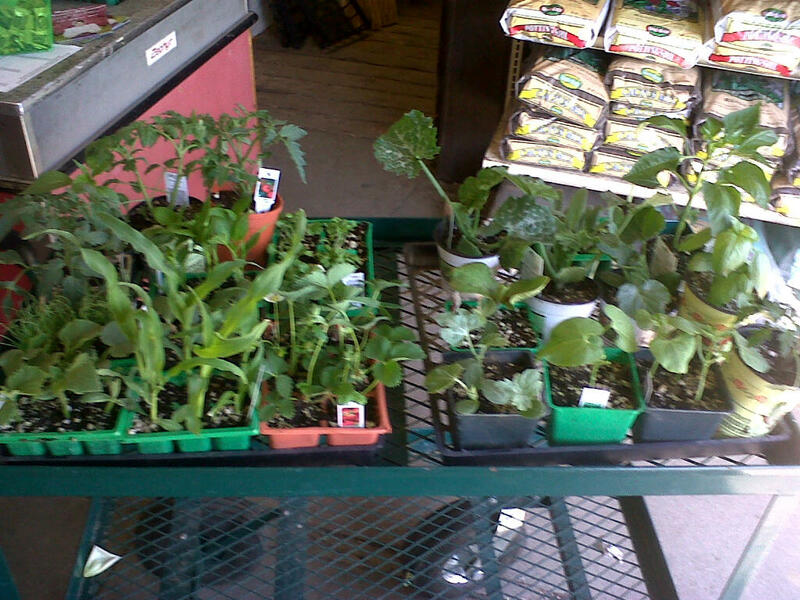 We planned on waiting until the following weekend to buy the plants and get them in the ground, but we got excited and decided to do it on Sunday. We drew up a rough plan and decided what plants we wanted to get, then headed to the nursery. Once we were there, the plan sort of went out the window. We got too excited by all the amazing options and went a little crazy. 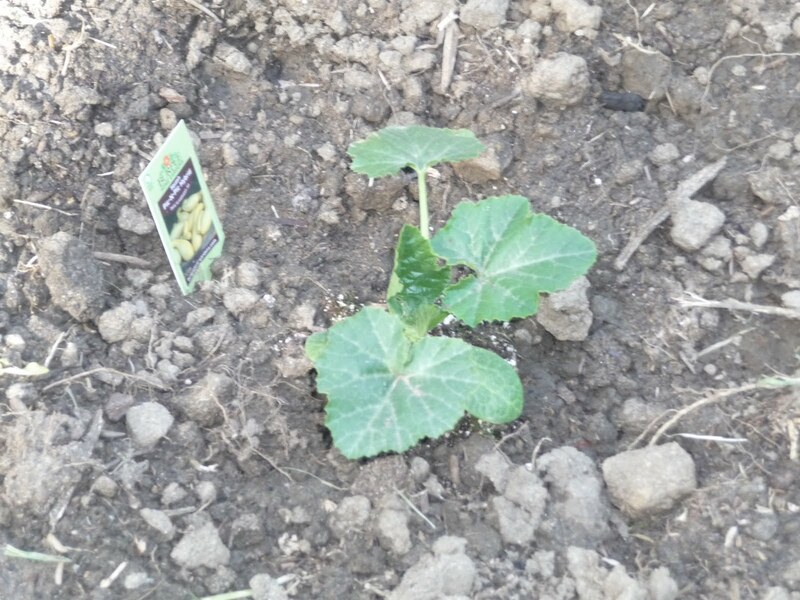 A close-up of one of the yellow squash plants. I can’t wait until we can pick the veggies and eat them! In front of our little fence and to block the gap, we have our strawberry planter and a mini fruit tree we’ve had for a few years. We still haven’t gotten fruit from it, but we’re hoping this is the year. When I was taking this photo, I realized that Ruby can fit through the little fence we put up. I thought she’s be too fat, for sure! 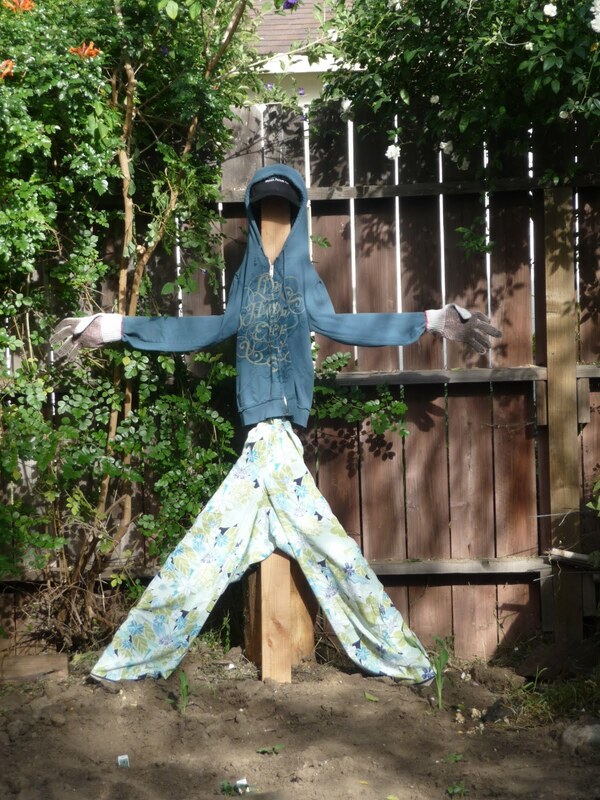 Look at our awesome scare crow!! She’s wearing some of my old PJs (I wore those bottoms to our prom after-party; I call them my prom PJs), one of my favorite old sweatshirts (it says, “live happily ever now” – I’ve always loved that line as a twist on the classic), one of my husband’s freebie baseball caps, and some old gardening gloves. I think it is doing it’s job because Ruby is terrified of it and was barking at it nonstop until I showed her it was fake. I woke up pretty sore this morning from all the digging and planting, but it feels good! I know it’s cliche, but having our own home with a yard and growing our own food is so fulfilling. It makes me so happy to know that our future children will have this in their lives as they grow up. @MateoThanks! Is this Mateo or Peggy? And I actually took the time to log Andy out and log myself in to comment this. Haha.